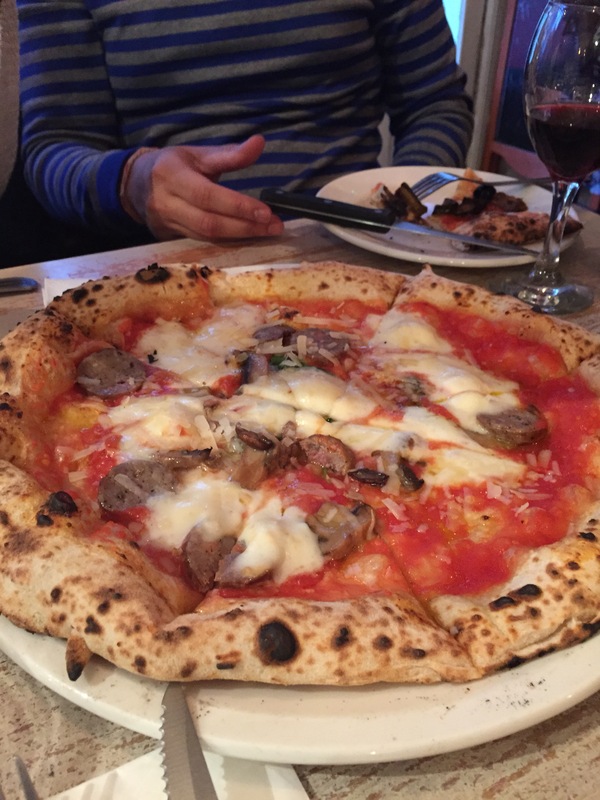 This Mother’s day, my mother in law and the extended family were taken to L’Antica Pizzeria in Hampstead for some stone baked pizza, and boy was it a good choice. The restaurant is very tiny so booking should be made in advance. 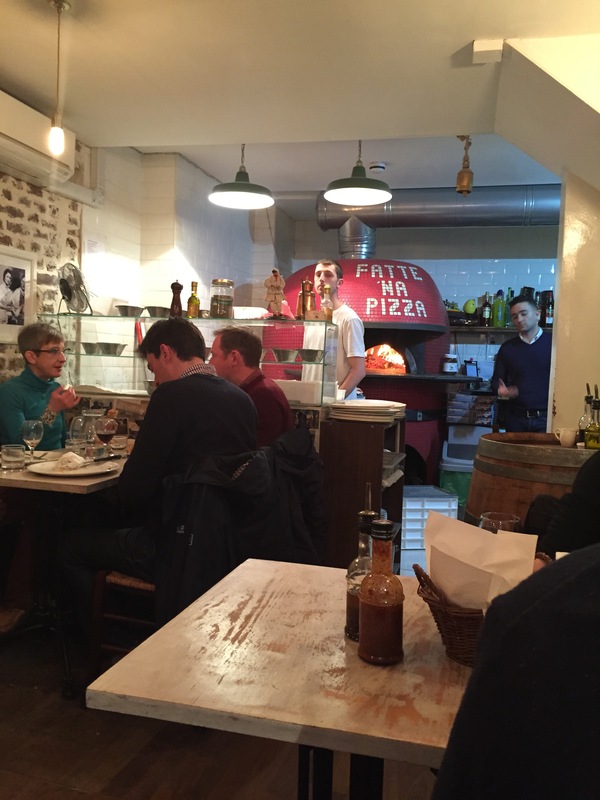 Interior is simple with wooden tables and chairs and a big pizza oven at the back. We decided in ordering starters and mains to share around the table, therefore we were able to save space for the famous Le Creperie de Hampstead after the meal. 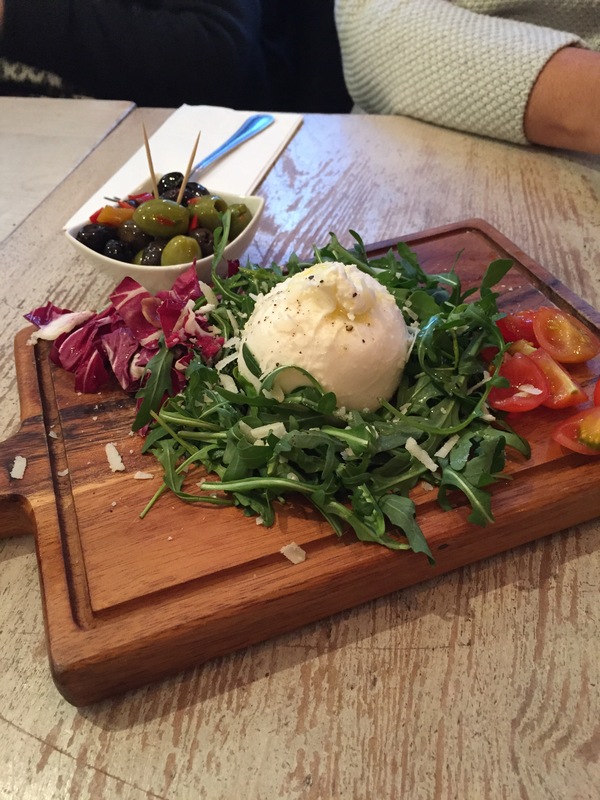 The starter was the ‘Burrata’; an Italian creamy cheese with wild rocket, cherry tomatoes, Parmesan and olive oil. This was superb, the cheese just melted in your mouth. 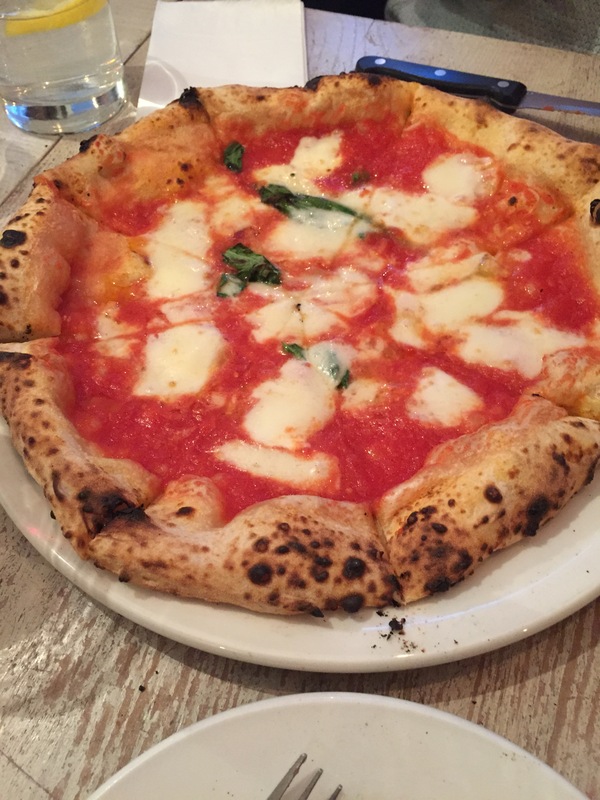 The shared pizza’s included the following; ‘Ferdinando di Borbonr’ (a margarita) with tomato, garlic oregano, fresh basil and virgin olive oil (£7), ‘Amerigo Vespucci’ with tomato, mozzarella, mushrooms and basil (£10). For the meat eaters in the group, the ‘Giuseppe Garibaldi which consisted of tomato, smoked mozzarella, pork sausages, mushrooms topped with truffle oil (£13). 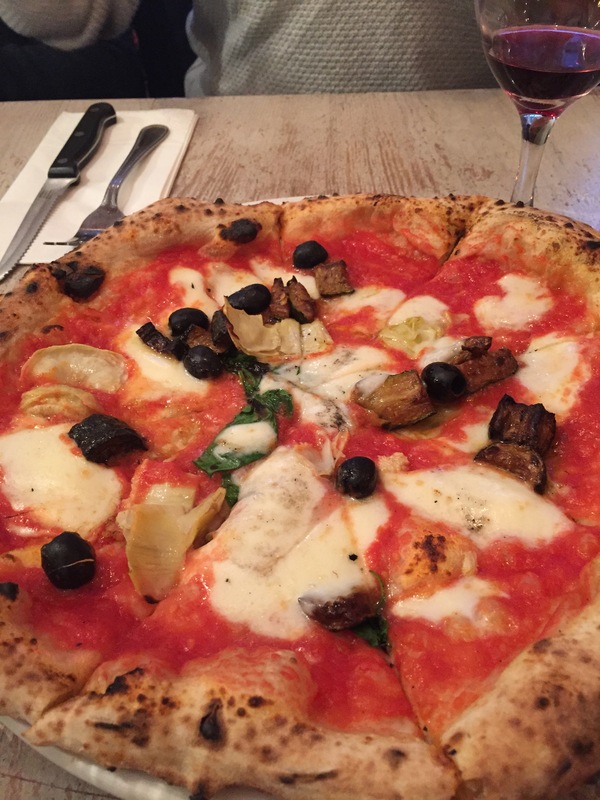 And lastly the ‘Sofia Loren’ topped with tomato, mozzarella, artichokes, black olives, courgette, aubergine and basil (£10). At this point I was in a carb coma, but it was all so worth it. 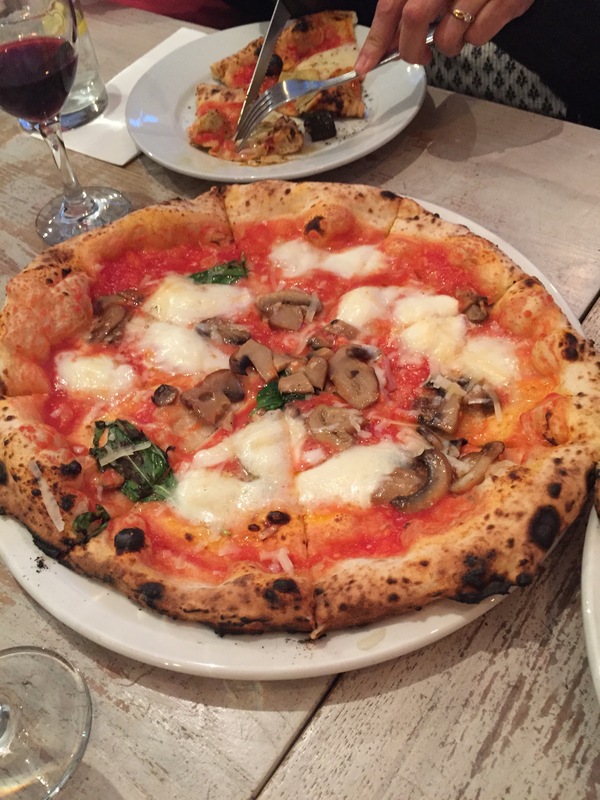 The pizzas are absolutely delicious, not only were they light, they were prepared perfectly with tons of flavour. So would I visit again? Yes is the answer! The service and food was all top notch, what more could anyone ask for.